KS Dental – Family Dental Care of Jefferson Park. Trusted dentist in Jefferson Park Chicago who offers professional cosmetic and restorative procedures. Our number one goal is to make sure every one of our patients leaves 100% happy,band with a bright, white smile on their face! 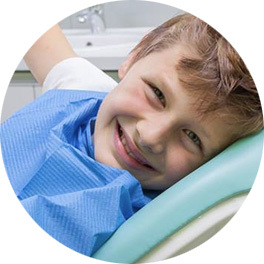 Since 1999, patients looking for local dentist in Jefferson Park, have chosen our dental because our personalized, affordable and competent dental service. KS Dental provides quality dental care at very affordable prices. Dr. Sekowska feels it is important to develop a trusting and friendly relationship with all of her patients. With over 17 years experience and highly advanced training in the field of dentistry, KS Dental Office in Jefferson Park has become one of the most trusted and respected cosmetic dentist in the area and beyond. Looking for a dentist with outstanding performances? Then, KS Dental Office is here to assist you! Yes we are at the top of dentist practice in Jeffeson Park and we also can certainly beat all the competition of other cosmetic and family dentists within the area. Treatment in our dental office can be a pleasant experience. KS Dental can produce some amazing results within the area of cosmetic dentistry. Dr. Sekowska combines her expertise, friendly manor as well as affordability. The search for an affordable dentist can end with KS Dental. Our Dental Office in Jefferson Park may include a number of skilled dentists that are able to provide a variety of cosmetic related dental procedures. Our dental pactice accept almost all insurances, however, there are affordable payment options available to patients that have decent credit. Looking for the best dentist in Chicago Northwest area? We look forward to seeing you for your next dental procedure!